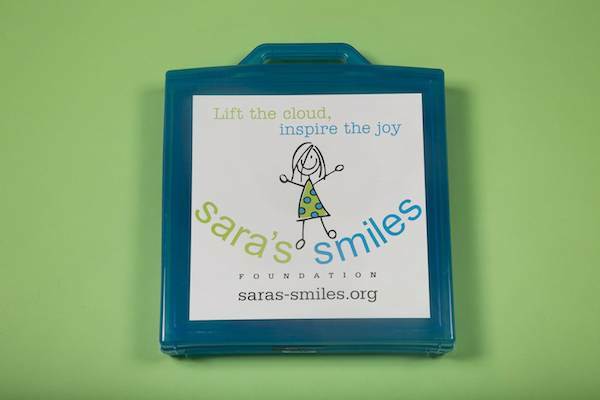 Sara’s Smiles Inspiration Kits are care packages created for children with cancer to help them and their families stay organized, entertained, and encouraged. Our kits are designed to be portable, practical, and fun. A durable, plastic attaché case contains items such as small toys, pads for art and self-expression, a file folder for paperwork and keepsakes, an item of room décor, fun, cozy socks, and much more. 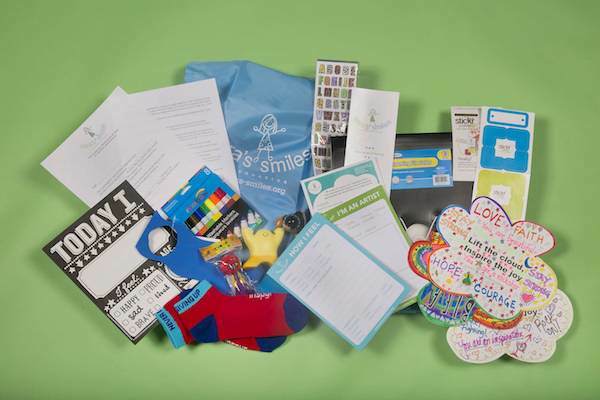 OUR INSPIRATION KITS ARE FREE OF CHARGE TO ALL PEDIATRIC ONCOLOGY PATIENTS. Both hospitals/treatment facilities and individuals can receive our kits upon request. Whether in the hospital or at home, we believe that engaging children brightens their spirits and empowers them as well.